A turbocharged engine that is, all at once, powerful, fuel efficient and intuitive may sound impossible. But with persistence and passion, Mazda engineers created the Skyactiv-G 2.5 T Dynamic Pressure Turbo engine. With outstanding horsepower and best-in-class torque, this engine provides responsive acceleration, agile handling, and an overall unforgettable driving experience. Disclaimer: *The 2.5 L engine is standard on the GX model, 2.5 L engine with Cylinder Deactivation is standard on the GS and GT models and the 2.5 L Dynamic Pressure Turbo engine is optional on the GT model and standard on the Signature model. 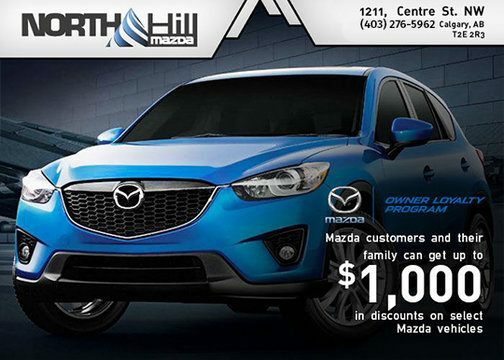 Find your next pre-owned vehicle at North Hill Mazda! All of our vehicles are full inspected before being sold. In addition to a 160-point detailed inspection, take advantage of: 7 year/140 000km limited powertrain warranty 24HR emergency roadside assitance 30 day/3 000km exchange privilege Carproof vehicle history report Contact us for more information. 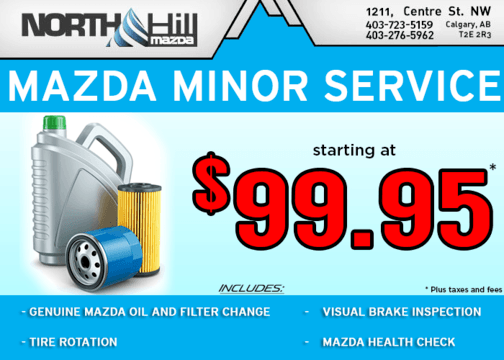 Come into North Hill Mazda to take advantage of this service offer! 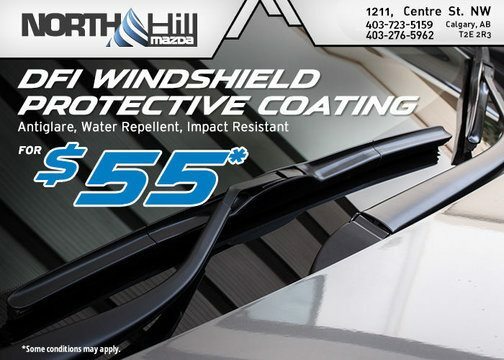 Get a DFI windshield protective coating, antiglare, water repellent, impact resistant, for ONLY $55! This offer is valid for a limited time only! Conditions may apply! 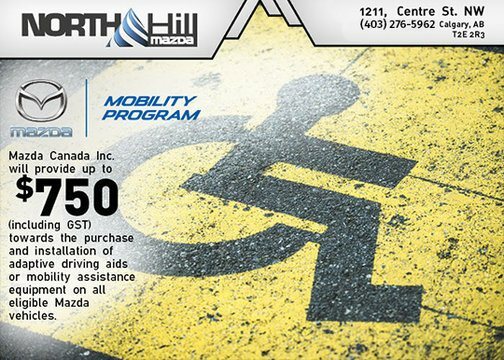 Come into North Hill Mazda to take advantage of this service offer! 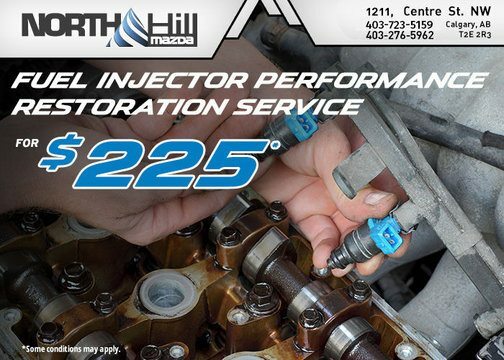 Get a fuel injector performance restoration service for ONLY $225! This offer is valid for a limited time only! Conditions may apply! 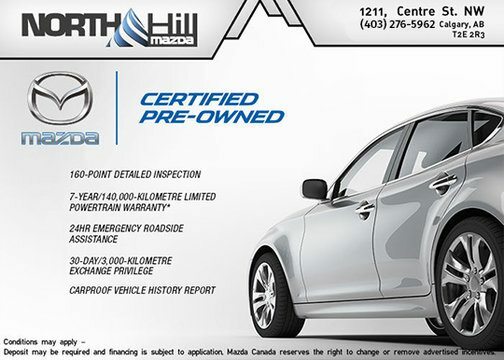 Visit North Hill Mazda and take advantage of our ''Peace of Mind'' service. Starting from only $99.95! * See details! 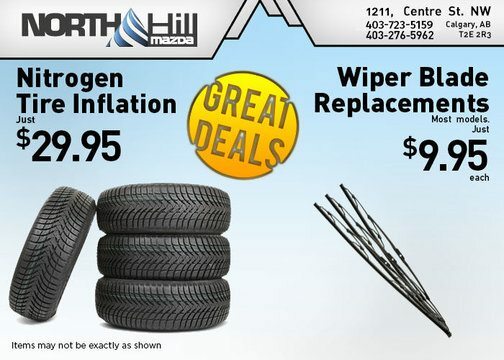 Nitrogen tire inflation at only $29.95 and wiper blade replacements for only $9.95. Contact us to know all of our great deals! Scotiabank Employees The Partner Employee Purchase program is here! 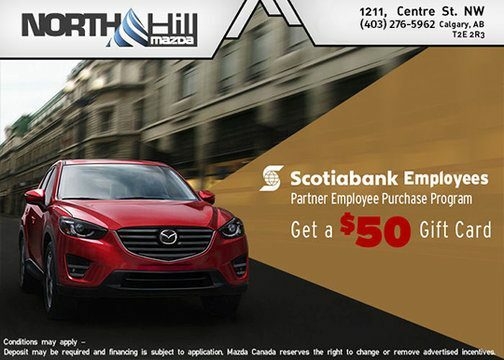 Get a $50 gift card simply by test driving a Mazda vehicle! 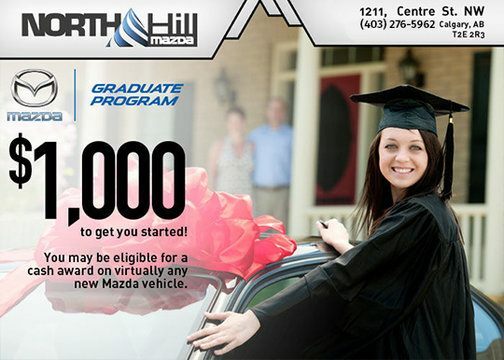 To learn more about this program, click on Mazda's Summer Test Drive Experience and follow the 3 simple steps to get a $50 gift card!